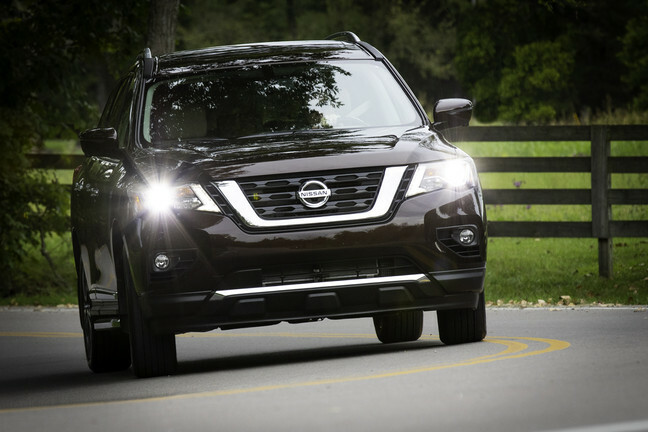 The 2019 Nissan Pathfinder is rolling into dealerships with a starting Manufactured Suggested Retail Price of $31,230. The 2019 Pathfinder offers four trim levels, S, SV, SL, and Platinum, and a choice of 2-wheel drive and four-wheel drive configurations. 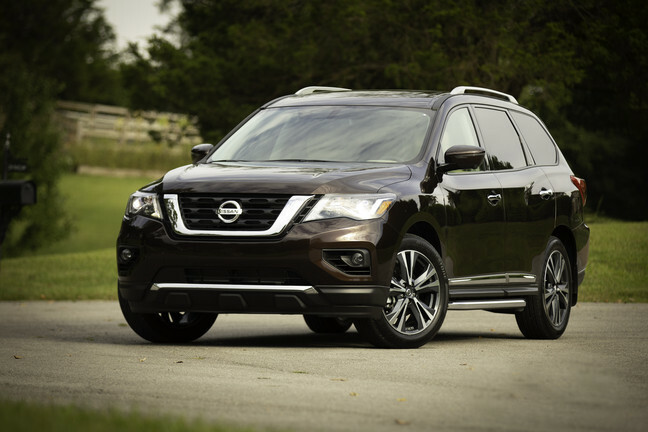 The 2019 Nissan Pathfinder is powered by a 3.5-liter V6 with Direct Injection Gasoline™ system paired to an Xtronic transmission. This powertrain churns out 284 horsepower and 259 lb-ft of torque. When equipped properly, the 2019 Pathfinder can tow a maximum of 6,000 pounds. 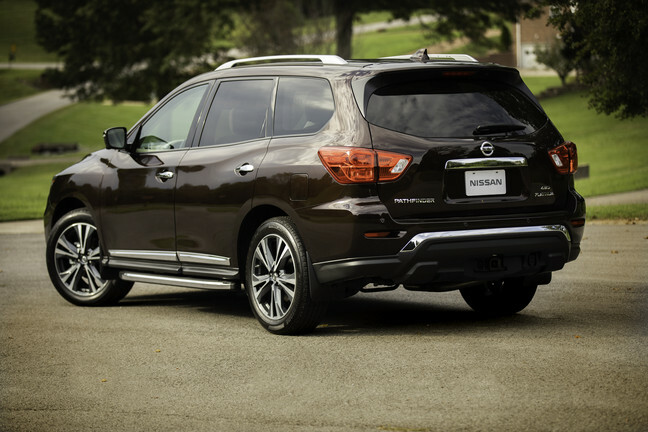 Advanced driver assist features of Blind Spot Warning, Intelligent Cruise Control, and Rear Cross Traffic Alert will be standard on the SV trim level of the 2019 Pathfinder while all trims will be equipped with standard Rear Sonar System. SL and Platinum trims boast standard LED headlights, and the exterior paint color, Mocha Almond Pearl, is a new option for the 2019 model. Rear Door Alert, a system designed to remind drivers to check the backseat before they exit the vehicle and Automatic Emergency Braking will remain a standard feature on all 2019 Pathfinder trims. 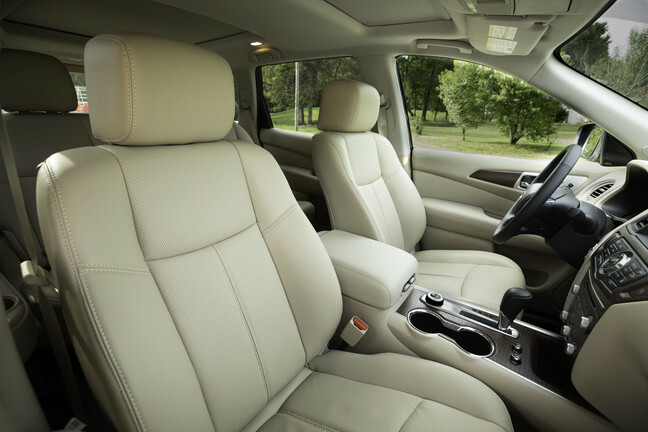 The seven-passenger 2019 Pathfinder’s interior is well-appointed and offers passengers easy access to the third row thanks to the second row tilt and glide seat, Nissan’s EZ Flex Seating System™ with LATCH AND GLIDE™. The 2019 Pathfinder also offers impressive sound via the available Bose® 13-speaker premium system while the available Motion-Activated liftgate makes loading and unloading the SUV a simpler task. The NissanConnect® with Navigation and Services is available as is a Dual Panorama Moonroof.